"We've always known that our capacity to handle rapid Web traffic growth would be critical to the success of Zillow. 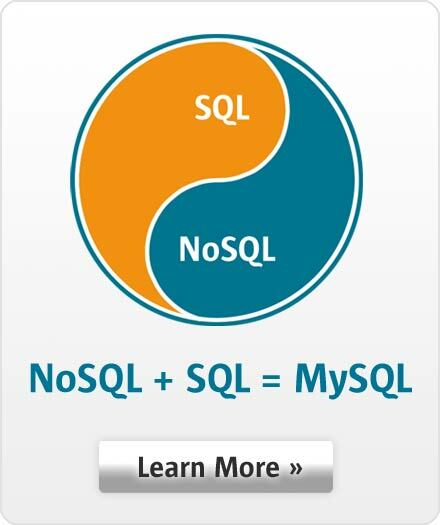 We selected MySQL Cluster as a low-cost, high throughput database with easy scalability — and it has delivered. MySQL Cluster has enabled us to manage our growth smoothly, cost-effectively, and intelligently plan for future expansion." Zillow.com is an online real estate community where homeowners, buyers, sellers, and real estate agents and professionals can find and share vital information about homes, for free. Launched in early 2006 with Zestimate™ values and data on millions of U.S. homes, Zillow has since "opened up" the site to community input, data and dialogue, including Home Q&A. Zillow's goal is to help people become smarter about real estate - what homes are worth, what's for sale, and what local experts have to say about real estate and individual homes. One of the most-visited real estate Web sites, Zillow was the only online company named by Advertising Age magazine to its 2006 "Marketing 50" list of the most powerful consumer brands. As soon as Zillow launched, it immediately generated a massive amount of Web traffic. As the company expanded its data and services and started to promote its distinctive brand, interest in Zillow continued to climb. Zillow's founders knew from the company's inception that the site's ability to quickly process and manage massive amounts of data — in real time — would be key to its success. The company identified a need for a low latency and reliable Web database that would enable them to continue to increase the capacity of their infrastructure indefinitely without sacrificing performance. Zillow uses MySQL Cluster — a special high availability version of MySQL — as the high transaction, low latency, Web-centric database to conduct critical data processing for Zillow.com, in real time. The open source database has helped Zillow scale on a single interface to meet many of the database requirements that a high-growth Web site requires. While Zillow uses a variety of databases to address different data processing needs, MySQL Cluster on inexpensive hardware has proven to be a high availability and low-cost solution for its specialized Web site application. In an average month, Zillow.com now handles more than 4 million unique visitors. MySQL Cluster combines the world's most popular open source database with a fault tolerant database clustering architecture to deliver mission-critical database applications with 99.999 percent availability. With the performance and high throughput required to meet the most demanding applications, MySQL Cluster enables incremental, linear scaling without having to invest in expensive hardware. Scaling-out in a horizontal architecture is made possible through MySQL's simple-yet-powerful replication technology, and helps many of the world's most popular online businesses — such as Zillow — grow gracefully and cost-effectively. Zillow has also taken advantage of MySQL's expert consulting and support services. MySQL professional services provided Zillow with prototyping and capacity planning to make it easy for the company to launch its service. According to Zillow, its database administrators were able to quickly learn MySQL Cluster's simple interface and deliver highly available capabilities due to MySQL AB's responsive technical support team and thorough documentation. As a result of their success with MySQL Cluster, Zillow is continuing to evaluate the database for new applications that could benefit from an affordable, Scale-Out architecture.